We should all be deeply concerned about two kingdoms theology. Its disastrous effects on the church are evident, are they not? Recent evidence indicates that two kingdoms theology explains why some Christians, such as Christian Right pastor Robert Jeffress, support Donald Trump and the Republican Party. As David R. Brockman warns in the Texas Observer, Jeffress “has deployed Two Kingdoms thinking repeatedly since the presidential election” to justify his support for Donald Trump. If you believe Christianity requires that Christians support the Democratic party, that should be deeply concerning. I suppose a cynic would say that this is precisely the problem with two kingdoms theology. It complicates the link between the kingdom of God and the politics of this age, and so it allows Christians to support whatever positions they want, regardless of biblical teaching. Real Christians, thoughtful Christians, know which party is the Christian party. Right? Right? So which party is it? Just how would Jesus vote if he were to become a citizen in 2018 America? Who’s right, Brockman or Ball? Jeffress or White? Just which side is two kingdoms theology on! Christians demand to know. Partisans purport to reveal the real truth of the matter. 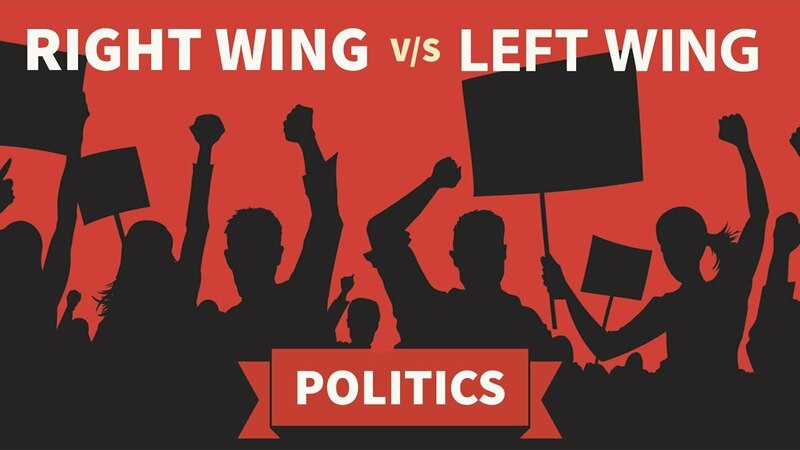 What if it turns out that Christians have substantial disagreements about politics precisely because neither political party faithfully serves the interests of justice, let alone of the kingdom of God? As my friend Mika Edmondson likes to say, if you have an easy time voting for either the Republicans or the Democrats because you are convinced that their policies align so perfectly with the teachings of Christianity, you have been deceived. The real tragedy, as my friend and colleague John Witvliet has put it, is that Christians feel forced to decide which part of a consistent ethic of life they will support and which part they will abandon. I know. This is anathema for those who are so convinced that their party is the Christian party. And I know that because two kingdoms theology consistently challenges those who sanctify the politics of either the Right or the Left, articles like these will continue to be written and published. But do not be deceived. Brockman and Ball actually have much in common. They are both frustrated that two kingdoms theology refuses to sanctify their own politics. This suggests to me that two kingdoms theology is actually getting something right, and that we need more of it, not less. It’s time for the church to stop being co-opted by either the Left or the Right. The gospel has much to say about justice and righteousness – and about politics too – but we only get it right when we seek first the kingdom of God and its righteousness, refusing to confuse that kingdom with America or with the policies of any political party. 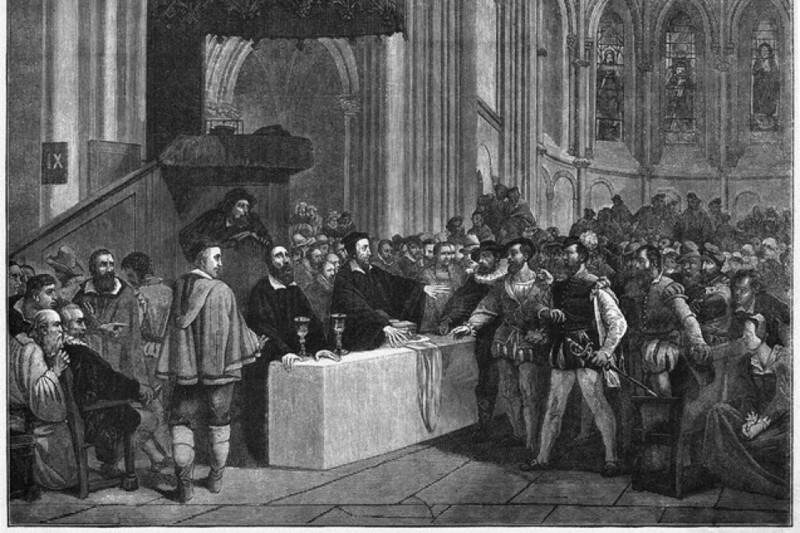 I am excited to announce that my book, Calvin’s Political Theology and the Public Engagement of the Church: Christ’s Two Kingdoms, is finally going to be available as a paperback – and at an affordable price. You can now pre-order it for just $36.11 at Amazon.com. That’s about a third of the cost you would have had to pay for it until now! The kindle version costs even less than that, and it is already available. To those of you who did purchase it for the full hardcover price, I thank you. The book has done quite well so far – and received very favorable reviews – and that has helped to make this reasonably priced paperback version possible. Comments Off on New Affordable Price For My Book! I have heard so many ministers say, “Those are social issues with which the gospel has no real concern,” and I have watched so many churches commit themselves to a completely otherworldly religion which made a strange distinction between body and soul, the sacred and the secular. Numerous theologians have since picked up on Dr. King’s critique. From the careful Willie Jennings, who maintains that Christian theology has never truly come to grips with its own complicity in colonialism, to the radical James Cone, who famously described the mainstream church’s witness as “white theology,” critics have argued that when it comes to the kingdom and its righteousness, the Western church has lost its way. It seems easy to dismiss these theologians out of hand. Too many of them appear too willing to jettison orthodox Christian teaching for increasingly radical forms of liberation theology that have little to do with the gospel. And yet, to do so would be to miss an opportunity. The reality is that many of these criticisms of traditional Christianity are far more on target than we’d like to admit. I came to grips with this reality in seminary when I studied Jesus’s preaching in Matthew 5 and Luke 4. 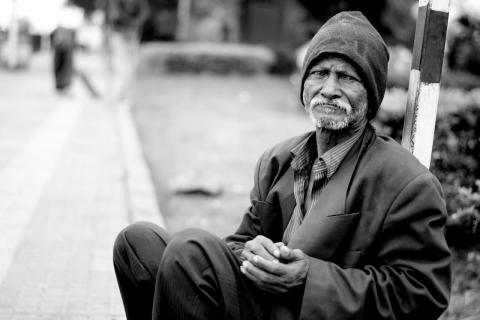 The standard evangelical interpretation of Jesus’s proclamation that he came to “proclaim good news to the poor” and “set at liberty those who are oppressed” (Luke 4:18)—at least in the respected commentaries I was reading—was that Jesus was using metaphors to describe salvation from spiritual poverty and oppression. And there seemed to be a general consensus that when Jesus described those who hunger and thirst for righteousness—and are persecuted for it—he was talking about those who yearn for justification and sanctification (Matt. 5:6, 10). I wondered if Calvin’s theology might help the church recover a more faithful gospel witness in the area of social justice. I wasn’t disappointed. Read my answer to this question at the Banner, where this article originally appeared. What happened in Charlottesville last month horrified many people in this country: Nazis marching alongside the KKK on the streets of America; street-fighting; terrorism. There was an outpouring of righteous indignation, much as there was after the shooting of nine black people by Dylan Roof in a Charleston church. Debates raged over whether or not President Trump was right to draw attention to violence on the part of “both sides.” Are soviet-flag-waving, anti-fascist activists worthy of the same denunciation as Nazi-flag-waving, white supremacists? Is it legitimate to respond to violence with violence? But now we have moved on. After all, we have been here before. This is the stuff of which PBS documentaries are made, though in the past they have usually been in black and white. To be sure, much has changed. I am glad that overt racism receives such sharp denunciation by the media and by many Christians today. And yet, what bothers me is how eagerly we as a nation denounce overt white supremacy, even as we blissfully ignore the more subtle racism that permeates our cities, courts, and prisons. This has far more destructive consequences for black people than a hundred rallies similar to Charlottesville’s. The sheer vitriol of our denunciation belies our own complicity in racial injustice for which we are so desperate to atone. We forget that even during the 50s and 60s many respectable white Christians, even in the South, abhorred violence and disorder. Many white moderates love to signal our virtue by condemning violence and calling for the removal of Confederate monuments. Meanwhile, we go back to our comfortable white suburbs, built with help from federal, state, and local governments during waves of white flight. We go back to our good jobs, our safe schools, and our stable investments. All the while we forget how racial discrimination systemically prevented African Americans from building the same sorts of lives, leaving millions trapped in poverty to this day. Read the rest of this article at the Reformed African American Network. Comments Off on Have We Already Gotten Over Charlottesville? What Does the Gospel Have to Do With Racism? This evening, from 6:45-8:00pm I will be gathering online with Rev. Shiao Chong of The Banner Magazine​, Dr. Michelle Loyd-Paige of Calvin College​, and Rev. Reggie Smith of the Office of Race Relations and the CRC Office of Social Justice​ to discuss this question. You’ll be able to listen in on the conversation and comment through the Office of Race Relations Facebook page (www.facebook.com/crcracerelations/). 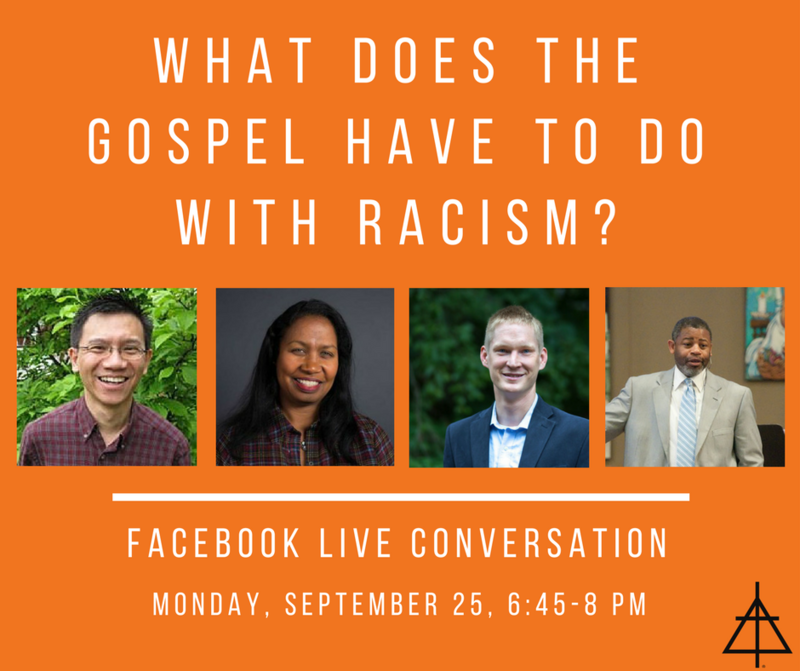 Comments Off on What Does the Gospel Have to Do With Racism?